ALL SALES AND PREVIEWS BY APPOINTMENT ONLY. 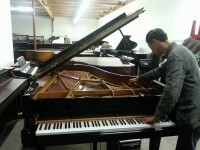 The American Piano Institute sales department operates at the Hollywood Piano Annex warehouse, 7310 Laurel Canyon Boulevard, North Hollywood, adjacent to Prof. Merdirossian’s Piano Teaching Studio. 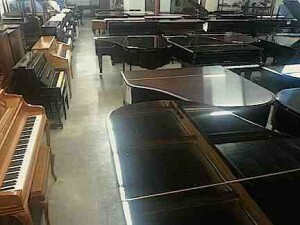 At this location, a large selection of new and used pianos are subject to a meticulous 75 point inspection, reconditioning, regulation and tuning. 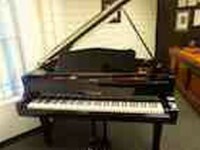 These certified instruments suit the needs for all budgets and levels of playing, from a beginner’s first piano to a professional’s life-time dream. 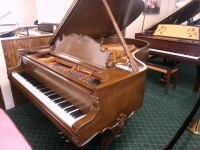 Under special arrangement with the Hollywood Piano Company, API has also direct access to a vast inventory of more than 400 new and used pianos at exceptional discount prices. 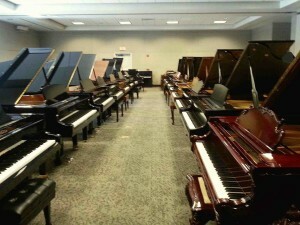 The total inventory includes pianos of all brands, sizes and models by Yamaha, Steinway, Mason & Hamlin, Kawai, Grotrian-Steinweg, Baldwin, Ritmüller,Young Chang, Weber, Estonia, Petrof, Weinbach, Schultze-Pollman, Knabe, Broadmann, Sohmer, Falcone, Schafer & Sons, Roland, Kurzweil and a selection of the finest American, European and Asian brands. 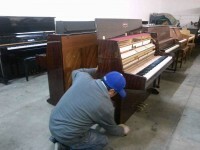 Periodically API coordinates the efforts of selected leaders in the manufacturing and rebuilding industries, assembling the best piano choices in today’s market during exhibits in selected cultural institutions, colleges and convention centers of Southern California. 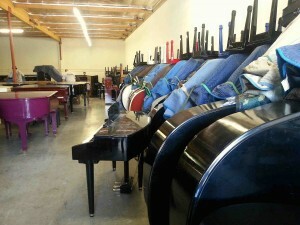 During these events, pianos are sold to the public at dramatic savings. 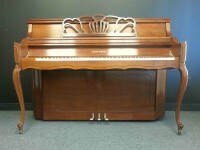 A 20-year full warranty apply on new pianos. 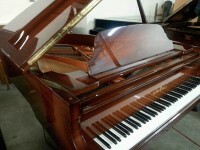 Most used instruments are sold with a 5-year warranty. A trade-up policy is guaranteed at anytime in the future.